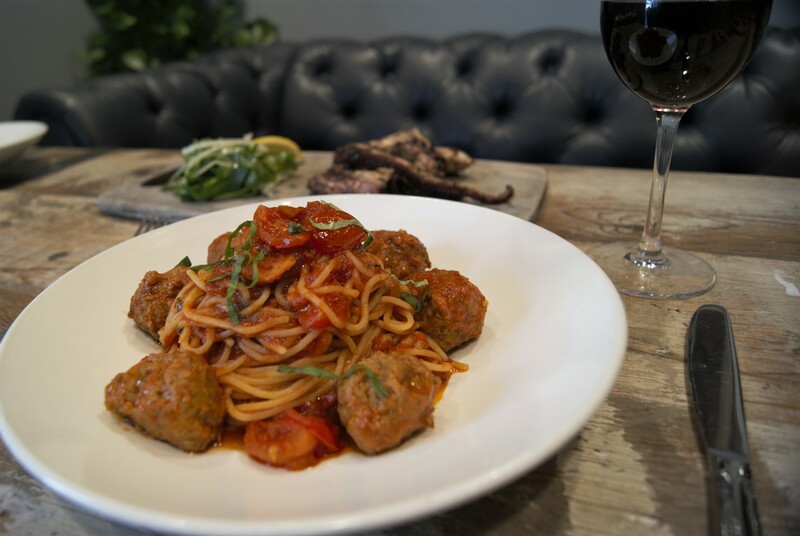 This is the perfect weather for a big plate of spaghetti and meatballs. And when the mood strikes, Hank's Pasta Bar is just the place for it! 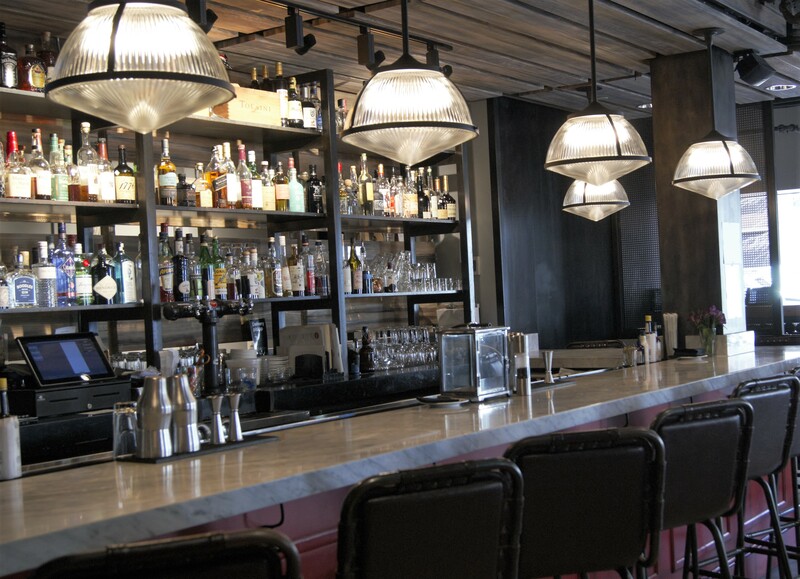 From wine dinners to happy hour, Hank's Pasta Bar has something for everyone. It is located on the north side of Old Town Alexandria, just minutes from D.C. 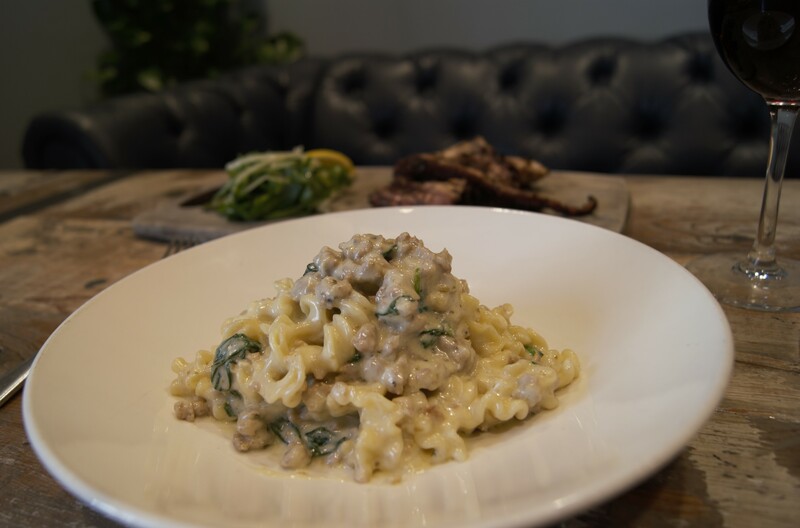 I sat down with Massimo Giannetti, the General Manager, and Chef Thomas Palmer to discuss the overall concept for Hank's Pasta Bar. 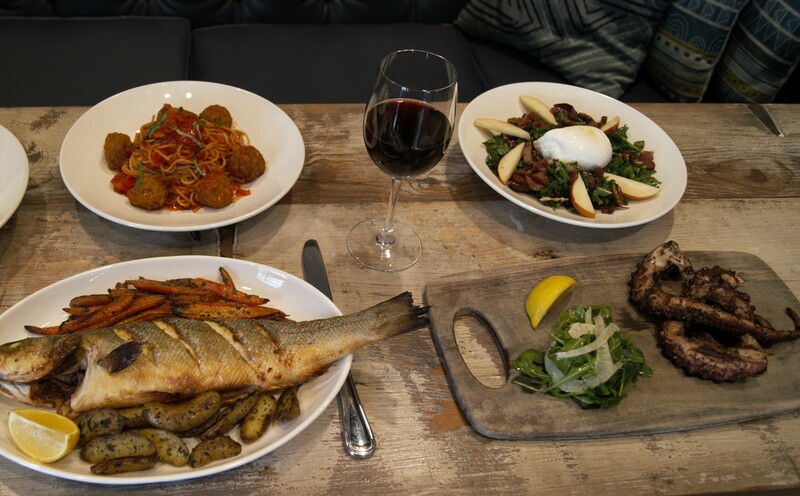 "We're known for our fresh pasta and Italian dishes," Chef Thomas explained. "You can start with our housemade pasta and go from there." He went on to tell me about Maribel, the lady who has been in that same location through previous ownerships for over 20 years, making the pasta by hand. 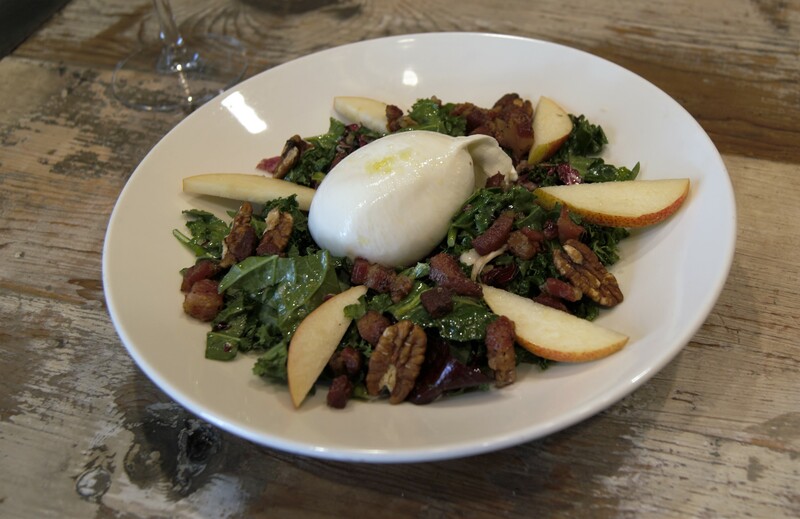 A beautiful plump ball of Burrata was perched on a bed of kale, sliced pears, pecans, and morsels of pancetta. The delicate maple vinaigrette tied it all together for a unique winter salad. 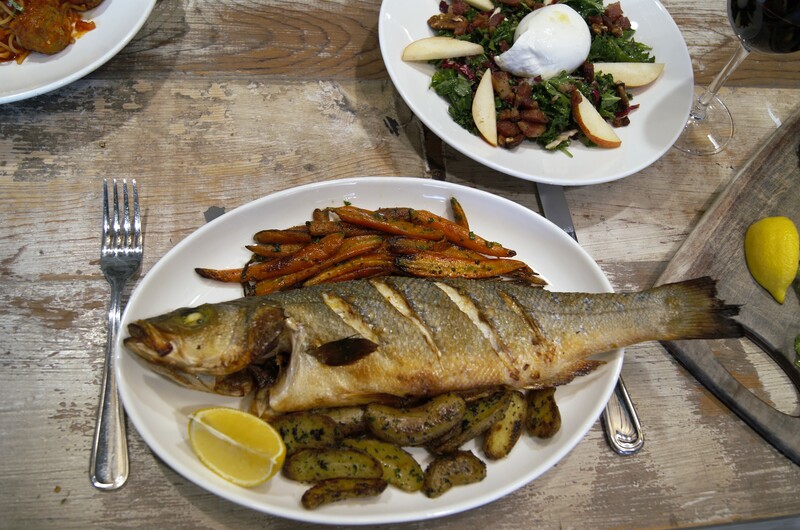 If you love fresh fish, try the whole Branzino with roasted fingerling potatoes and carrots. This simple preparation really lets the fish shine with its perfectly crisped skin. 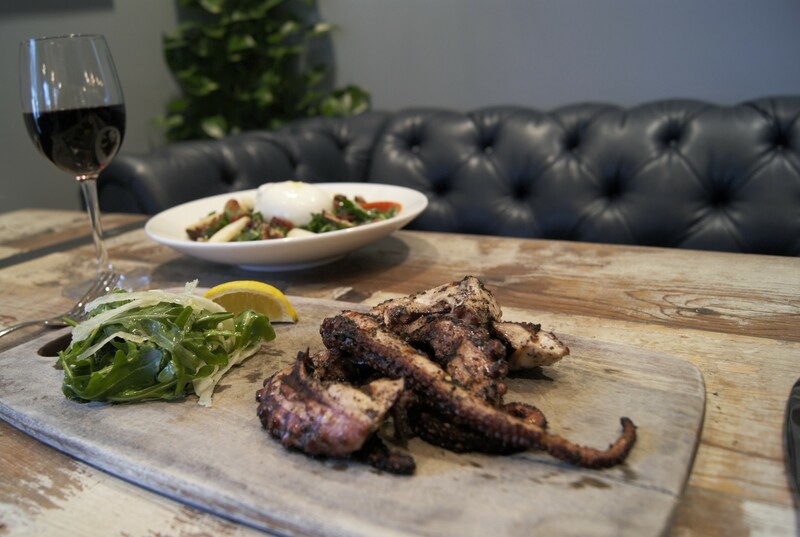 Speaking of seafood, the grilled octopus appetizer was hands-down my favorite dish. Gorgeously charred and seasoned just right, I couldn't get enough of it. 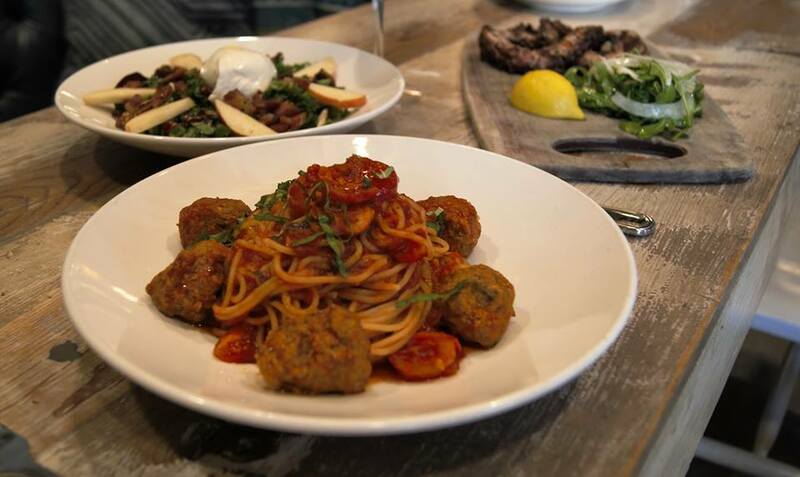 Spaghetti and Meatballs, the quintessential pasta dish, gets treated with care. Housemade noodles are coated with a tangy red sauce and served with plump meatballs made from scratch with lamb, beef, pork, and veal. Mafalde is the underdog of the pastas. The look of it belies the delicate flavor of the rich, creamy sauce and house-made fennel sausage. Beautiful ribbons of ruffled pasta are coated with it and strewn with wilted spinach. This could easily become a regular craving. Who would like Hank's Pasta Bar? In a nutshell, anyone who likes good pasta would LOVE this restaurant. There are so many variations on the classics, I can't wait to go back and try more! "We're a neighborhood restaurant. We get people from all over Old Town; the kids come after karate class for the spaghetti or mac and cheese." As we talked more about the upcoming events and weekly happy hour specials, it became clear that Hank's Pasta Bar simply wants to prepare really good food for its neighbors. In my mind, I can imagine bringing friends here after work for drinks at the sleek bar or for a nice dinner to wait out the traffic on the Parkway. It would also be a great place for a date, with its impressive menu and cozy atmosphere. They have great happy hour specials, decadent wine dinners, and wine classes will be starting soon. Keep an eye on the Hank's Pasta Bar website for special events or to make reservations. The food pictured was generously provided by Hank's Pasta Bar and looks exactly the way it would if you ordered it. Stop by soon and try some of the handmade pastas, risottos, and seafood specialties! Have you been to Hank's Pasta Bar? What are some of your favorite dishes? Let us know in the comments below! Last month, we visited Palette 22 in Shirlington! If you need a brunch place, that's the place to go! Want more from NoVA Eats? Check out Virginia's Our Community Now homepage for more foodie features!